The EU’s renewable energy policy should be brought in line with the EU waste legislation by ensuring that energy-from-waste (EfW) policy respects the waste hierarchy laid out in Directive 2008/98/EC, in order to advance the circular economy, the European Parliament’s Environment (ENVI) Committee has this week agreed (24 October). 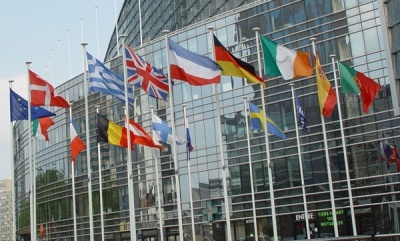 The text adopted by the ENVI Committee, which will now be put before MEPs in the European Parliament, sets stricter criteria for the use of municipal and industrial wastes for energy and excludes renewable energy support for waste that is not separately collected, while proposing a Europe-wide framework of measures to support member states’ national plans to reach the EU’s 2030 target of 27 per cent of total energy consumption coming from renewable sources. The waste hierarchy laid out in the Directive sets a descending list of options for managing waste in terms of what is environmentally the best option, with prevention, reuse, recycling, recovery and disposal the preferred order of waste treatment options. The position taken by the ENVI Committee echoes an earlier call in January 2017 by the European Commission for member states to consider the waste hierarchy more carefully and phase out support for mixed waste incineration. Regarding the use of subsidies to support renewable energy in member states, the ENVI Committee’s proposal suggests that ‘member states should ensure that guarantees of origin are issued for all units of renewable energy produced’ and ‘for electricity that received support, the guarantees of origin should be auctioned to the market and the revenues should be used to reduce public subsidies for renewable energy’. The list of feedstocks for the production of advanced biofuels as contained in Annex IX is proposed to include biomass fraction of mixed municipal waste but not separated household waste subject to recycling targets. The first evaluations of the list of feedstocks are proposed to take place no later than six months after the date of entry into force of the revised Directive. The proposal states that the European Commission ‘should assess the greenhouse gas performance, technical innovation and sustainability’ of biofuels produced from these feedstocks, while feedstocks with low indirect land use change (ILUC) - the displacement of agricultural production to non-cropland land types to make way for the production of biofuels - should be preferred for their contribution to the decarbonisation of the economy. Sections calling for manure, slurry and animal and organic waste to go straight into use as biofuel have been removed, while the definition of ‘biomass’ has been adapted to include not only ‘the biodegradable fraction of products, waste and residues from biological origin from agriculture, including vegetal and animal substances, forestry and related industries’, but also the ‘biodegradable fraction of waste including industrial and municipal waste of biological origin’. All biofuels, bioliquids and biomass fuels must fulfil the Directive’s sustainability criteria, while those produced from waste and residues, other than agricultural, aquaculture, fisheries and forestry residues, only have to comply with the its greenhouse gas emissions saving criteria, likewise with waste and residues that are processed into another product before being processed into biofuels. Zero Waste Europe has welcomed the vote by the ENVI Committee after calling for the exclusion of the biodegradable fraction of municipal waste as eligible for renewable energy primes in a position paper released in March 2017. Janek Vahk, Zero Waste Europe’s Development and Policy Coordinator, said: “By prioritising energy recovery over waste prevention and recycling, the current Renewable Energy Directive has been a key obstacle to achieve the goals of EU waste legislation. Yesterday night, MEPs have sent a clear signal that the recovery of energy from waste must be strictly guided by the waste hierarchy. ZWE is now calling on MEPs sitting on the Industry, Research and Energy (ITRE) Committee to support the ENVI Committee’s decision to exclude support schemes for energy from mixed wastes. You can view the ENVI Committee’s Proposal in full on the EUR-Lex European Law website. The European Commission has called on member states to consider more carefully the waste hierarchy when looking at increasing incineration capacity and has suggested the phasing out of support for mixed waste incineration. Cory Riverside Energy has dismissed reports in the national press that its East London Belvedere incinerator has been put up for sale by the company's owners for more than £1 billion, a decision that some outlets have suggested could start a bidding war among Chinese suitors. Veolia has been forced to draft in an emergency director after its Leeds recycling and energy recovery facility missed recycling targets three times in a row.